Eyes on the timer – the battle is on and your opponent is you. For each exercise, complete as many reps as you can in the allocated time for an after-burn that will last well past your post-workout smoothie. Pushing yourself to the limit will get your metabolism firing and trigger the biochemical responses that sculpt and shape your muscles – that’s why we call it Toned AF. The addiction is real when it comes to beating your personal best in this cardio based workout that hits every muscle group! Hustle your way through every exercise with the aim to smash your record by completing as many reps as you can in each block of work for more of that after-burn effect. Pushing your heart rate to the limit, it will make you Fit AF as promised but best of all you’ll leave feeling HOT AF. You’ll be the envy of this session while you sweat through each minuet to reach your set repetition goal like a boss! There are three rep targets to choose from so you can progress through the levels as you keep getting fitter, toned and stronger with each workout. Reps don’t lie and this workout = No Bullsh*t.
Think a minute goes fast? Just. You. Wait. This HIIT workout brings a whole new meaning to ‘gone in 60 seconds’ – start a new exercise every minute on the minute, complete the set amount of reps and rest until the next one begins. There are three rep targets to choose from so you can progress through the levels to keep getting fitter (and hotter) with each workout. You are unstoppable! 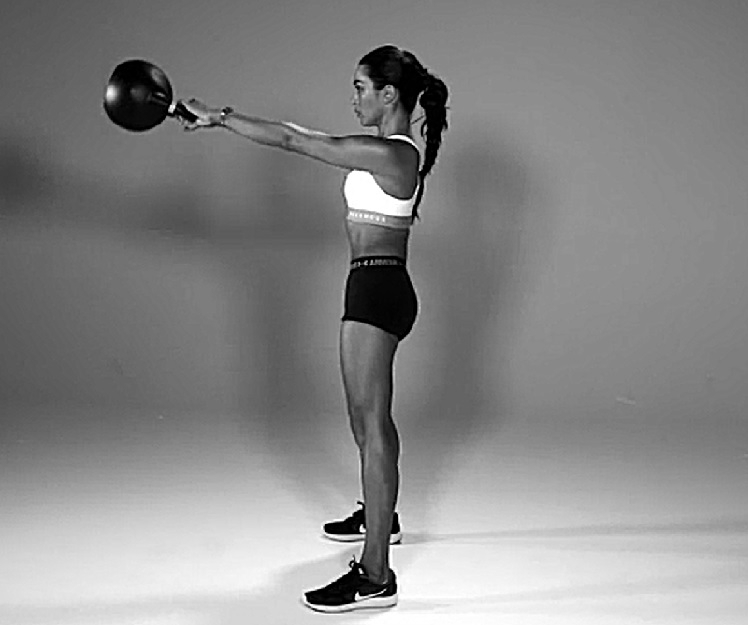 We know you’ve gotta slay all day so you need a workout that gets results, fast. That’s where Tabata comes in, one of the few training styles that has incredible anabolic and cardiovascular effects on the body in record time. Working in four-minute rounds, this session will have your heart racing from start to finish to burn fat and fire up your metabolism, not only during your workout but for hours afterwards. One of our favourite training styles that has incredible anabolic and toning effects on the body in record time. Working in four-minute rounds, this session will have your muscles feeling the burn from start to finish. Burn fat and fire up your metabolism, not only during your workout but for hours afterwards. Full body strength-based moves like squats and deadlifts for a firm physique? Yes please! And we’ll make sure you’re doing it with great form. TABATA + Strength = Best post workout selfie! You don’t quit and neither does the clock in this high-intensity functional strength circuit. Every minute you’ll move from one exercise to the next until you’ve completed a full round. How many exercises is that? That’s for us to know and you to find out! Have a one-minute breather at the end of the round and then do it all again. A seriously intense workout that will build seriously impressive cardiovascular and muscular endurance. Wanna unleash? You’ve come to the right HR driven functional circuit. Every minute you’ll move from one exercise to the next until you’ve completed a full round. How many reps? sets? is that? That’s for us to know and you to find out! Have a one-minute breather at the end of the round and then do it all again. A seriously intense workout that will build seriously impressive cardiovascular and muscular endurance. No-one tells you what to do so we’re not about to start – in this workout, you choose the order in which you do each exercise. There’s only one catch… you’ve gotta complete them all by the end of the session. Mix and match your exercises and incorporate rest periods as you need them. We’ll give you the exercises and coach you on best technique for maximum results, but otherwise you’re the boss. Adrenalin is always on trend and so is this cardio based workout. We’ll control the timer while you control the order you want to complete all the exercises. Don’t be fooled when you hear ‘cardio’ – it’s definitely a full body workout babes but we’ve added a little extra flavour to get your heart rate pumping to pushing you towards new fitness gains. Keep your eyes on that HR monitor, kill-it, then repeat. The world is your runway, and any supermodel worth her Louboutins needs the supersets to match. Super setting is the newest way to ‘HIIT’ all the areas you want to target without skipping the intensity of a full-body session. These sets? They’re all about building a core and booty that would make half of Hollywood jealous, while burning fat and increasing endurance and strength. Open those Insta stories, we guarantee you’ll want to show off these results, stat. If you’re gonna do HIIT, do HIIT right! and we guarantee you’ll be doing exactly that during this strength super set workout. Our ZADI crew will coach you through full body strength training moves with a little extra focus on core and booty activation that will tone and sculpt all the areas that get noticed. The afterburn is real in this sesh babes. The exercise equivalent of a Sunday sesh, this recovery workout is your well-earnt reward after a week of killing it on the studio floor. Chill out with cool tunes and positive vibes as you stretch out your whole bod, foam roll the hard work away and pick up a few of our fave muscle activation moves. Add some balance to your routine so you’re ready to do it all again on Monday, aka ‘Slay Day’ to our fam.